In 1964 Ruger introduced the investment cast 10/22, a rifle which can only now be described as a phenomenon among new and old shooters. Most of us not only have one, but several 10/22’s in a variety of configurations due to the availability of aftermarket “hop up” parts. These parts have become so popular that many buy base model 10/22s just to begin a custom rifle. The original Ruger has improved over the years, however the aftermarket parts market offers shooters performance far from the capabilities of even the current 10/22 models. After we consider all the parts we want to change, many shooters start with an aftermarket receiver for extra precision and an accuracy edge. 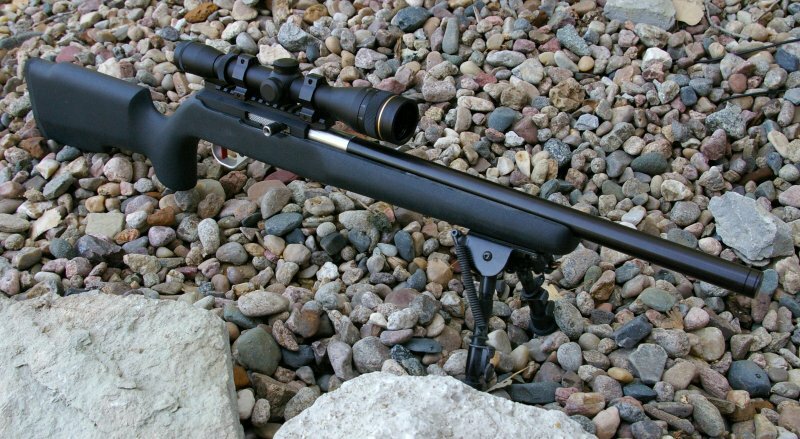 The Tactical Machining TM 10/22 receiver is a deal among these usually pricey upgrades. Tactical Machining was started in 2008 to offer high quality AR parts and is continuing to develop an interesting mix of products. 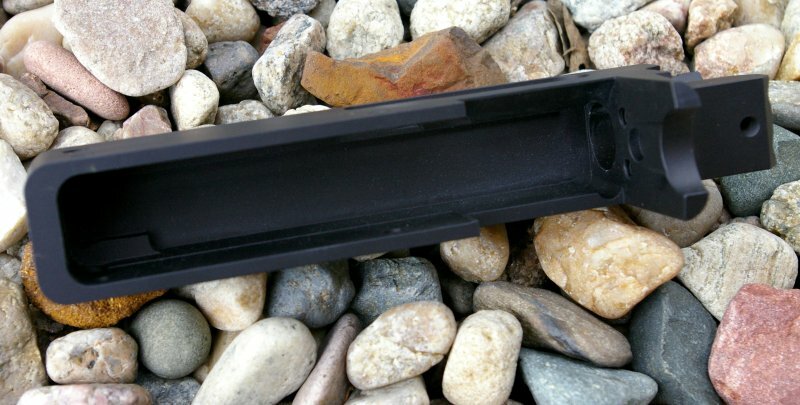 They are one of the top providers of 80% AR receiver and 80% receiver kits. 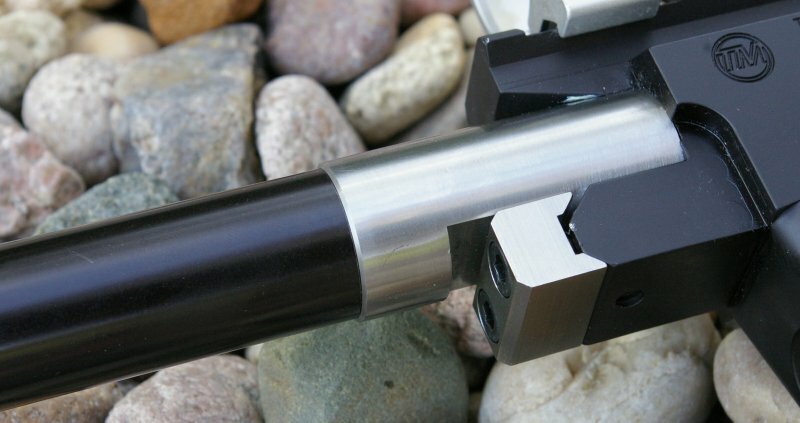 For the home machinist, non-ATF 80% receivers provide a fun project to finish the milling and create their own ATF register-able receiver. 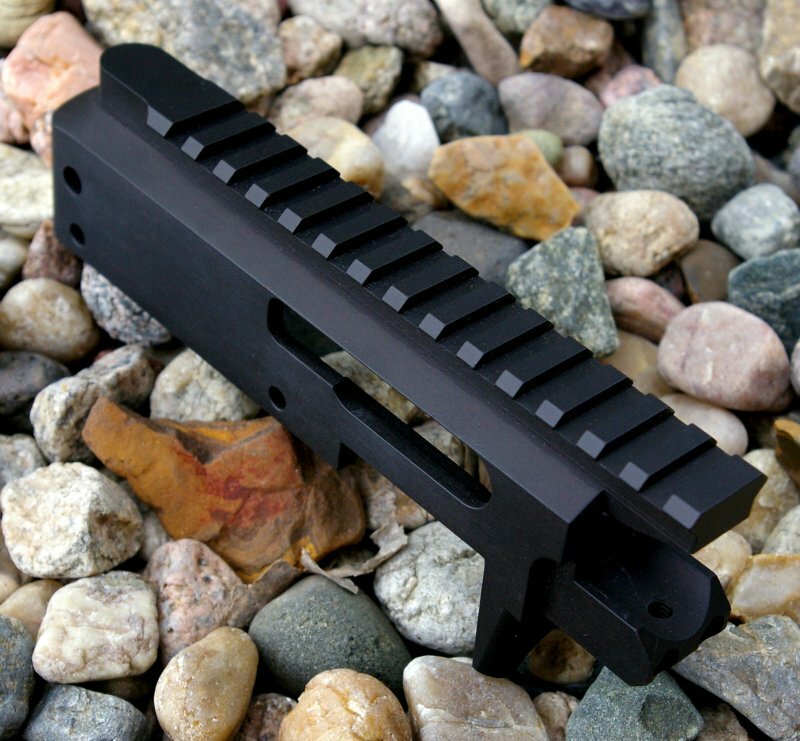 Other products include a complete finished line of products including AR accessories, complete AR uppers, and complete lower receivers and this very affordable $129.99 billet 10/22 upper receiver I used in this precision TM/Kidd 10/22 build. The fit and finish on the AR lower I tested previously was outstanding as is this TM 10/22 receiver. 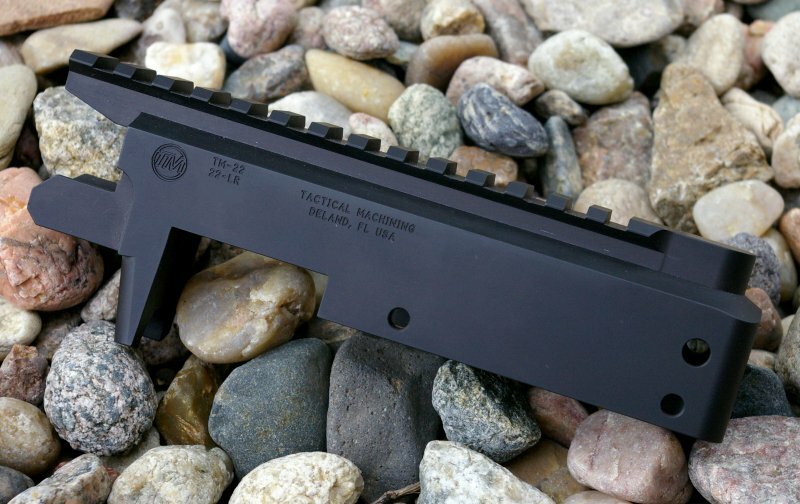 Tactical Machining is definitely putting a ton of quality into their products at an amazing low price. 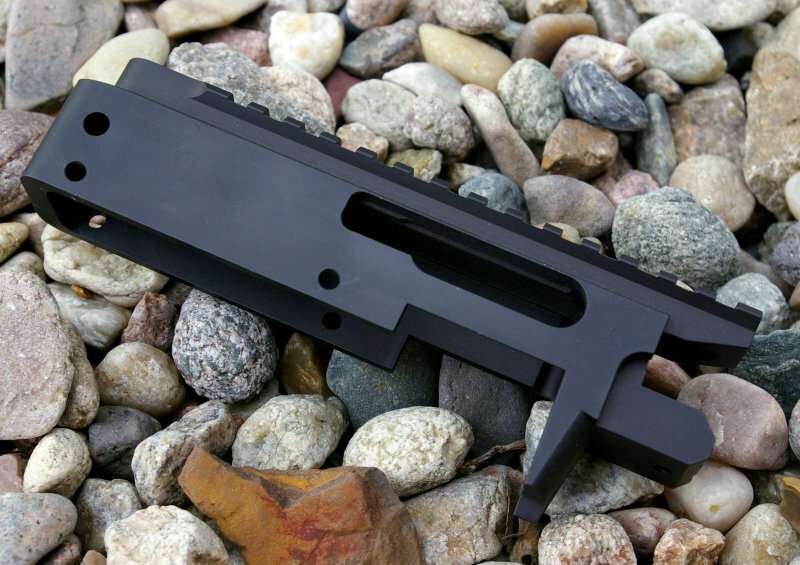 Tactical Machining TM 10/22 receiver is a flawless deep dark hard black anodized finish. The receiver is beautifully machined to very tight tolerances which if you are using stock parts will deliver a very tight fit, if you are using aftermarket parts expect to do some hand fitting. Kidd is known for very tight barrel fitting and coupled with the tight specs on the TM 10/22 receiver, it made for quite the hand fitting adventure over a couple hours. That noted, I would have it no other way for a precision build, because you want that barrel so tight that the v-block really become superfluous. I ended up taking off all the anodizing in the receiver’s barrel breech to get the Kidd barrel to fit with taps of the rubber mallet on the back of the receiver. Just a note to never seat the barrel by hammering on the muzzle end of the barrel; always hit the back of the receiver with a rubber mallet. The stock barrel fit tightly without any modifications during initial test fitting, however aftermarket barrels almost always require fitting to some degree. 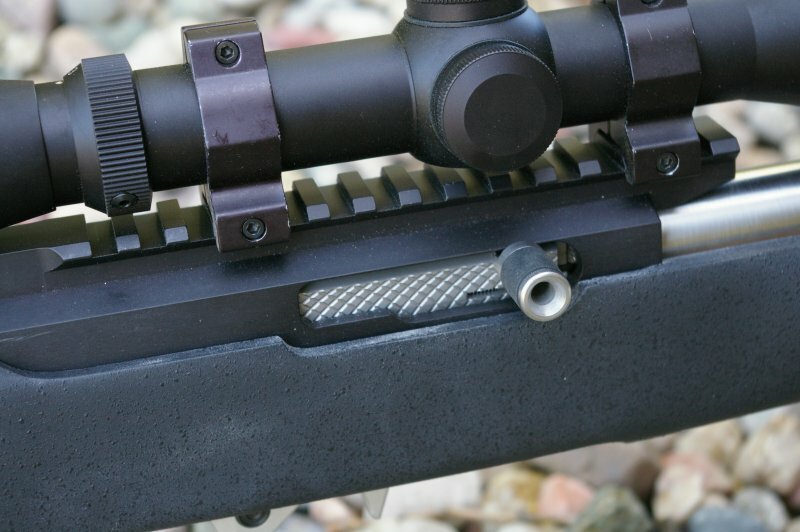 It is your choice of whether you want to sand and modify the barrel or the receiver, however in this case it was far easier to adjust the fit on the aluminum versus the stainless barrel. The only unexpected issue I had was a bolt guide rail corner had to be squared off with a file to allow the gorgeous Kidd bolt to drop-in. This was a very minor 2-minutes tweak and is far from a deal breaker for me. The stock Ruger bolts have a pretty loose spec, but the Kidd bolts do not. 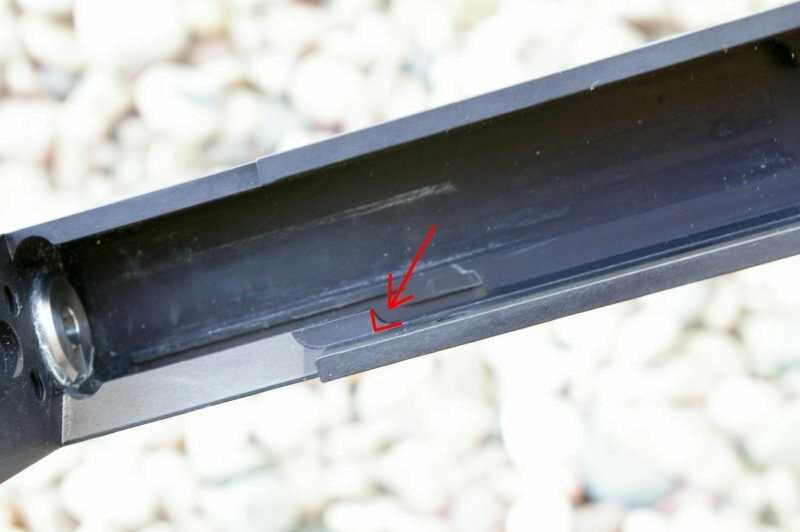 Chances are most factory stock Ruger bolts will drop in without this modification. Functionally the receiver dropped right into the Boyd's Tacticool stock used for the build and has worked perfectly. The Tactical Machining TM 10/22 receiver certainly has provided an excellent platform for my Kidd powered tack driver. Some of my best groups are right around .25” at 50 yards and it is far from uncommon for me to manage sub 1” groups at 100 yards. From a value perspective, the TM 10/22 is the best deal in the industry for an aftermarket 10/22 receiver. It features many of the same features as competitors, but it has a price of only $129.99 versus the next least expensive competitor’s $230 receiver... not a bad deal at all. 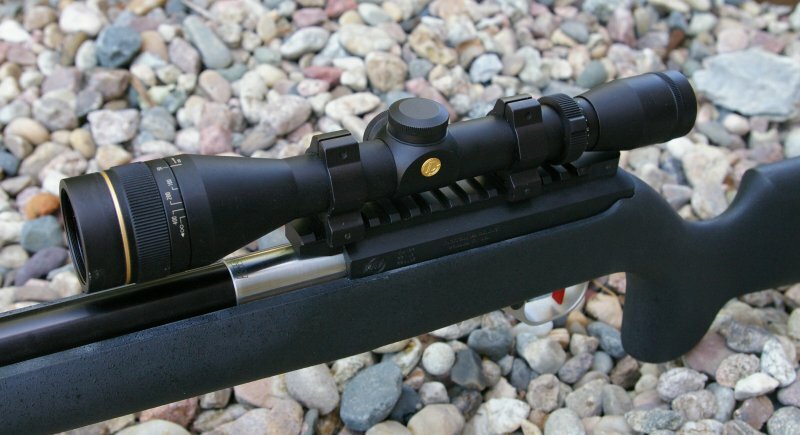 The biggest features are the level of precision and an integrated and extended Picatinny rail which provides a rock solid base for scope mounting. The integrated rail is just one less thing that can affect accuracy, thus offering a potential improvement and one less accessory to purchase to add on. Overall this integrated feature is a great deal any way you slice it. Other features include precision 7075 T-6 billet aluminum construction, breach cleaning rod access hole, and tight precision construction. I noticed stock pin did not freely fall out of it although for the build I switched over a used Kidd’s precision pins. Unlike some of its competitors, the receiver comes only in basic black, however at $100 less than the nearest competitor; I think many people will still buy two at a time considering the price and features. Build Specs - Kidd CNC bolt group, complete 8oz/8oz 2-stage trigger assembly with flat trigger, cocking assembly, V-Block, bolt buffer, & 18” 2lb. lightweight barrel, Tactical Machining TM 10/22 Billet CNC Receiver, Boyd Tacticool Stock, Leupold VX-2 3-9X33mm Rimfire Scope with Adjustable Objective. $1076 as equipped. Assembling your own custom 10/22 really only requires at most a rubber mallet, a screwdriver, hex wrench and maybe sandpaper and file for a little hand fitting. It is without a doubt one of the easiest firearm formats to DIY assemble yourself and I plan on showing you how in some future articles. 10/22 rifles are an awesome platform. They are fun, cheap to shoot, and can be insanely accurate with the right performance components and one of those components is the receiver. I have had good accuracy from using a stock receiver, however my best shooting 10/22s all use billet receivers. I think just a bit tighter and more precise receiver can deliver just a bit more accuracy via a much tighter overall barrel to receiver union. An integrated picatinny is just one less thing to go wrong. Throughout this review, I keep coming back to the price and found myself muttering “it’s only $130” over and over again. Yes, you may have to do a little fitting and tweaking if you are using aftermarket parts, however that should be expected with any 10/22 aftermarket component based build as they never go together perfectly. In hindsight the Kidd barrel is just too tightly spec’ed and I would probably use Kidd’s own receiver in the future, however for almost anything else including the exception Force barrel, this would be a first choice of receivers for a ground up 10/22 build. Considering I can by two receivers for the price of one of the next priced competitors this is definitely a highly recommend 10/22 receiver. I have been interested in those "special" railed 10/22 Receivers for a while. Those receivers have me wondering how it would look with an A3 carry handle and some funky front sight to match the hight.